The first thing that you should know about Central Florida Periodontics and Implantology oral health is that you can expect committed, dedicated, and friendly care at either of our central Florida locations. Dr. Jeffrey Sevor is the lead periodontist specialist at Central Florida Periodontics and Implantology and has years of experience providing personalized care to patients just like you. Dr. Sevor specializes in helping patients understand and prevent gum disease. Dr. Sevor uses a variety of methods—including scaling, root planing, and laser periodontal surgery—to give you healthy gums and the smile that you’ve always wanted. Gum disease can actually get worse with age and significantly worsen as bacteria, plaque, and tartar accumulate. Fortunately, the staff at Central Florida Periodontics and Implantology can give you tips and provide procedures designed to improve your tooth, gum, and overall oral health. Cosmetic periodontal procedures and bone grafting are just two of the many advanced procedures that can dramatically improve the aesthetics and functionality of your teeth while improving your bite. Improving your bite is actually crucial to reducing or eliminating the wear-and-tear breakdown of teeth over time. At Central Florida Periodontics and Implantology, it’s about keeping things looking as fresh as possible. 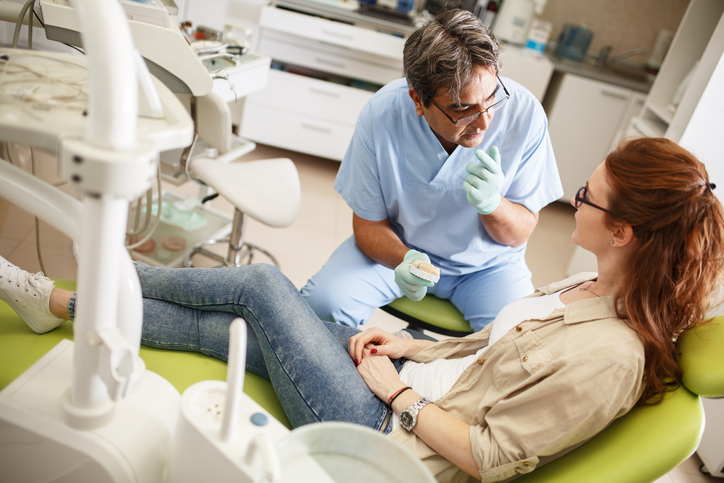 And for patients who have concerns or anxieties about an upcoming oral health procedure, make sure to ask Dr. Sevor about dental sedation options. Sedation can take the form of intravenous conscious sedation so that your anxieties can be lessened while allowing you to stay awake throughout the procedure, and nitrous oxide sedation as well. Nitrous oxide sedation has been safely used for decades by dentists and orthodontists. As the second half of the term alludes to, nitrous oxide sedation is part oxygen and taken in by the patient through a sanitized, safe breathing mask. The really nice thing about nitrous oxide sedation is that it can make you more relaxed about your procedure and allow you to respond to prompts from the friendly staff at Central Florida Periodontics and Implantology. The best part might be that Central Florida Periodontics and Implantology has licensed anesthesiologists on staff so that you can put your mind at ease before and during bite adjustment, scaling and planing, or laser periodontal surgery. Although Dr. Sevor specializes in the prevention, detection, and treatment of all levels of gum disease, you can also receive dental implants on all of your front and bottom teeth at either of Central Florida Periodontics and Implantology locations in central Florida. Convenience meets functionality, aesthetics, and affordability with Dr. Sevor’s periodontal practice. Dental implants put to use a completely natural process called osseointegration, which means that your living bone can accommodate a load-bearing titanium implant. An extremely strong and stable titanium implant can form a close bond with the patient’s own jawbone to provide the foundation for years of beautiful smiles and healthy eating and chewing. In fact, dental implants are a prosthetic dental option that millions of older Americans have already decided is right for them. The American Academy of Implant Dentistry has found that 35 million Americans are missing all of their teeth in one or both jaws, and a huge percentage of those potential patients could benefit from dental implants. The really exciting thing for many patients who come to see Dr. Sevor is that the same American Academy of Implant Dentistry study found that upwards of 98% of dental implants were complete successes. Since Dr. Sevor embraces sedation dentistry, getting dental implants doesn’t need to be needlessly stressful or costly.